Dental implant is a smart way to restore the natural function and appearance of missing teeth. Dr Zarekari offers comprehensive implant restoration options that fit your unique smile. During your initial implant consultation, we will take a 3D cone beam scan to measure and plot out the recommended treatment. This imagery makes it possible to more accurately plan for your therapy as well as enhances both the efficiency and comfort of the procedure. After your implant surgery, Dr. Zarekari will fit you with a permanent restoration that accommodates both your functional and aesthetic needs. Each selection is designed to rebuild the appearance of the teeth that have been replaced, with options from single tooth to full mouth reconstruction. — If only one tooth needs to be replaced, a crown will be affixed to the top of the implant abutment, so that the entire piece mimics the design and function of single teeth. 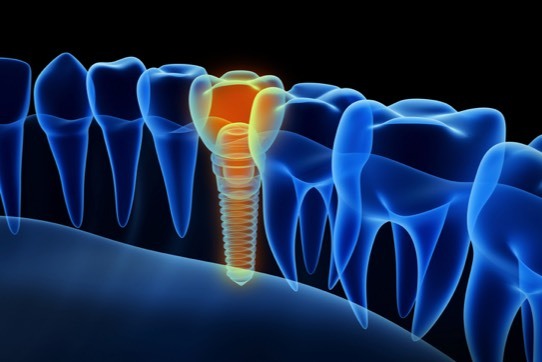 — An implant’s integrity allows it to support the weight of more than one tooth. As such, Dr. Zarekari can pair two implants together to support an extended bridge for three or four teeth. — When you need to replace all of your teeth at once, a stabilized or implant supported denture can provide you with increased comfort and convenience.